First blogpost of 2017... almost two months in. Sorry for the lack of posts, I've been preoccupied with young adult pre-occupations, work, and school. I'll try my best to write more often, since I enjoy writing! To start off, this writeup will contain spoilers, so don't read any further if you have not seen Soushitsu! So I was so excited to watch Soushitsu, yet by the end of this movie I have to label this as my least favourite out of the four so far... but still enjoyable! I felt like this movie was going to be the best so far since it focused on Sora, who I think is the most "character diverse" figure out of the gang. Didn't feel that way though since the last two episodes had me in slight confusion. Anyhow, here are my thoughts on Digimon Adventure Tri Soushitsu, after watching it a few days ago. 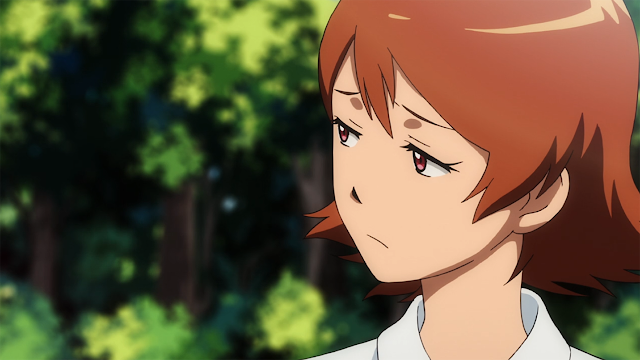 This post is going to be different from my other Digimon Tri reviews where I'm just going to list and elaborate on aspects that I enjoyed and disliked about Soushitsu. Before starting off I was really excited to see Soushitsu, mainly because Sora I feel is the most character heavy out of the eight DigiDestined. Her turbulent relationship with her mother can hold affinity to many others; which played out in the original series and the original movies. So I was eager to watch this because of Sora's past. 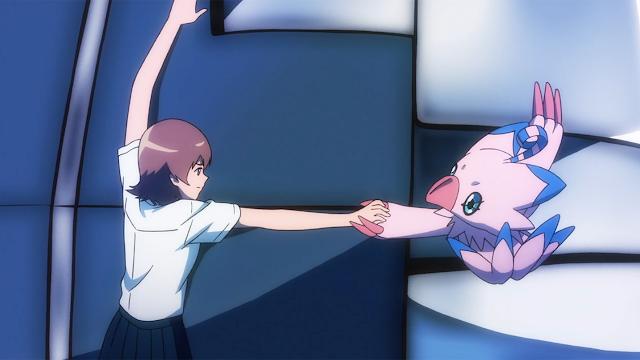 What I really enjoyed was witnessing the rekindling of Piyomon and Sora; especially in the first two episodes! 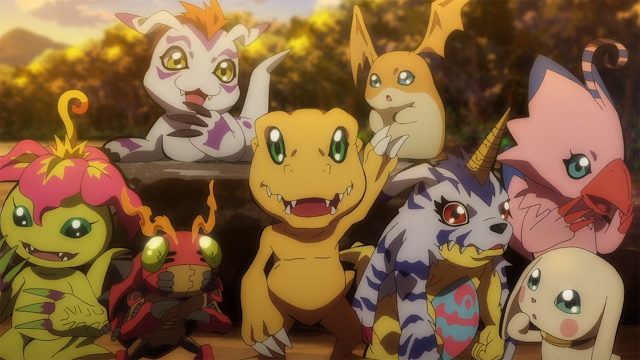 After the reset event, the Digimon seemed to have lost their memories, and all off the DigiDestined plus their respective Digimon began rebuilding their relationship in the Digital world. Everyone seems to be getting along except Piyomon and Sora. It was kind of weird that Piyomon and Sora had the hardest time reconnecting.. I never knew Piyomon could have so much malice towards Sora, I get the whole reset storyline but yeeesshh. 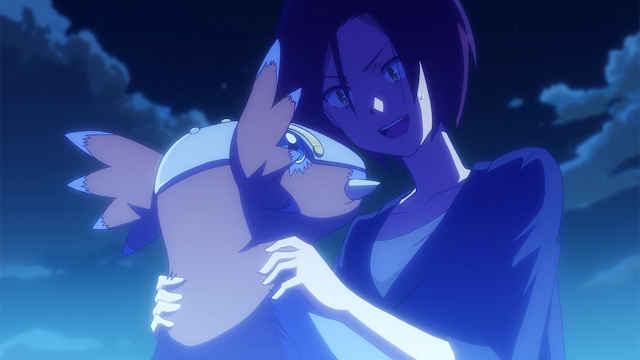 The first two episodes of Soushitsu really highlighted the tumultuous reconnect Sora and Piyomon had, it reached a max for me during that desert scene when Piyomon shouted, "Well, it's because I don't know you!" And Sora began streaming tears down her face- this has to be my favourite moment from the movie. Maybe Toei wanted to create this complex dynamic, reacquainting Piyomon to Sora, so that it would have been analogous to Sora's relationship with her mother? We all know Sora's relationship with her mother was not as good as it used to be now. Not sure if the juxtaposition was intentional, but if so, wow, nice parallelism! But other than that, the last two episodes diffused my love for the first two episodes... which I'll talk about later on. And of course my favourite part of Soushitsu, well my favourite part throughout the whole franchise, is the friendships. I just love watching how strong the bonds between the Digimon and DigiDestined are, the friendships are so strong and powerful... it's hard to put into words how much I love it. Nothing better than reliving some of the bonds from Adventure through Tri. Another good moment was when Gabumon first said, "Yamato-kun." Nothing beats it I tell you (pure nostalgia for me)! Alright so now for the parts that had me raising my eyebrows. Let's begin with Seraphimon. Digivolutions are the best part of the Tri movies. Up until now the first three movies revolved around one or two of the eight DigiDestined, with great story building up of the grand finale, which was witnessing the spectacular mega evolutions. In Soushitsu it's no surprise that we'd see Piyomon's mega form since the movie was mostly about Sora. But after we were graced with the presence of Hououmon, why on earth did we see Patamon's mega form? 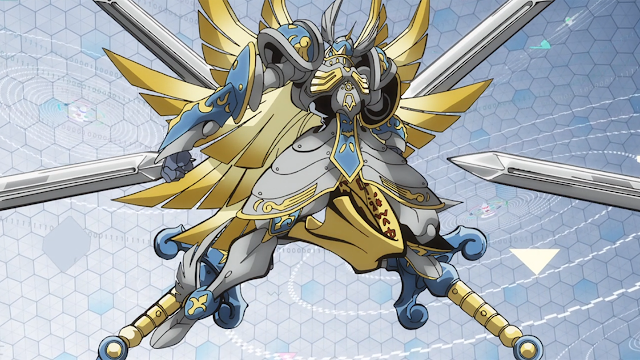 Seraphimon's presence was not necessary, since Soushitsu wasn't about Takeru. I felt like Toei just dropped Seraphimon out of the blue, when we SHOULD have seen Seraphimon in Kokuhaku; where that movie was mostly about Takeru. 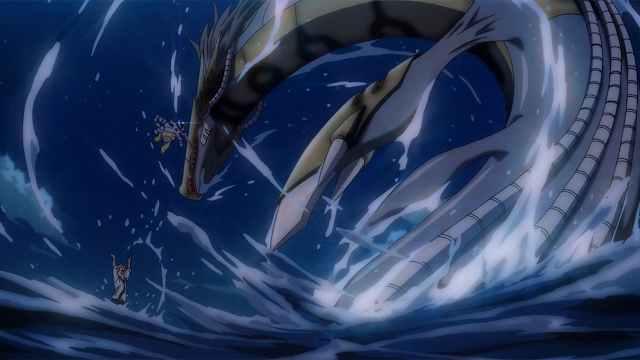 Seraphimon's presence was anticlimactic- not what I was to feel when I'm seeing these mega forms. I have no hate for Seraphimon though, he was introduced in the wrong film! I also felt a certain way about not seeing Garudamon or HolyAngemon in a bit of action before jumping to their megas. Now I know some of ya'll were tilting your heads in confusion when you saw Salamon and Gabumon being able to go head to head with some of the Dark Masters. I mean really? In Adventure even the ultimates had difficultly inflicting any damage to Machinedramon or Metalseadramon. And some how Gabumon and Salamon, rookie level'd Digimon, in this movie were able to incapacitate these mega level'd Digimon... Weird. Finally what drove my disliking of Shoushitsu was this imposter "Gennai" person and Himekawa, coupled with the whole shaky direction of the plot, making things foggy as to what is expected in the last two movies. Ken Ichijouji morphs into Gennai... or a clone of Gennai. And how weird was this guy? I mean licking Sora and choking Meiko? Really unnecessary actions. Plus this weird introduction of Himekawa at the beginning of Soushitsu and her psychotic behaviour shaking the life out of a digimon. What's her role in this whole Tri series? Was she a former DigiDestined? So many questions. Which leads to my concern of the direction of the last to movies. By movie four I thought we'd get a solid understanding of the plot, but it's still very unclear. This whole reset concept, infections, Himekawa's role in the Tri series, and now this unknown entity with no title that can transform into Gennai. Can't really pinpoint how all of this is networked together. I really don't want the last two Tri movies to pull something out of their behinds and call it a day, hopefully Toei can come up with something that makes sense in the last two movies. Final thoughts: the first three Tri movies were great, the second half of Soushitsu left me feeling unsatisfied based on what the first three movies delivered. Again, hopefully the last two movies improve beyond the first four. And that's it for this "review." Leave a comment if you've watched this movie, and tell me your thoughts on Soushitsu. Until next time!